People say there are no such thing as stupid questions, so here are some clever answers to help newcomers get to grips with the business jet and helicopter markets. If you’re new to business aviation (or even if you’ve been around for a while), the industry can seem like a minefield full of mysterious jargon, confusing acronyms and far too many aircraft models that it’s impossible to remember all of them. 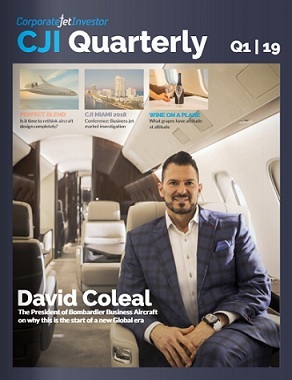 At Corporate Jet Investor, we aim to help and connect the global business aviation community. So without further ado, we’ve compiled a list of some of questions that we hear the most, with the answers below. If have any further questions for the team, please get in touch via our contact page. How much does it cost to buy a business jet? How do I charter a private jet and how much does it cost? How much can I expect to make by chartering out your business jet? Who will finance my business jet? Are business jets really that luxurious? Why should I spend more money to fly on a business jet rather than business class? How safe is business aviation? What is the environmental impact of flying on a business jet? How many business jets are there in the world? How many new business jets are delivered each year? Who are the major manufacturers in business aviation? Where can I land my business jet? Where can I meet other business aviation professionals? The cost of a new business jet depends on range and capacity. Very light jets can typically carry between two and seven passengers over 1,300-3,000 miles and range from $2.5-7 million. At the slightly larger end of the spectrum, medium-sized jets tend to range from $18-30 million. If you are looking to fly across oceans and continents, an aircraft like Bombardier’s Global 6000 business jet has a list price of $58.5 million, but if money really holds no bounds, corporate airliners, which have been converted for VIP use, hold up to 60 passengers and can cost in excess of $100 million depending on how lavish the interior is. For a less expensive option, pre-owned jets have already depreciated in cost, so can be purchased for as little as $1.25 million or around $14 million for heavier, longer-range aircraft. But older aircraft cost more to maintain. Commercial helicopters typically cost somewhere in the $2-15 million depending on manufacturer and model. However, personal ultra light single engine helicopters can be purchased for around $300,000. The traditional way to charter a private jet is through a charter broker, who will source the availability and price of your charter as well as negotiating the transaction on your behalf. The alternative is to use an online booking system with is becoming an increasingly popular method thanks to modern technology. All private jet flights are paid for in advance. A typical short hop European flight will cost around $6,000 one way. To fly from London (Biggin Hill) to New York (Teterboro) could cost upwards of $100,000. According to Avinode, the average cost to charter a Gulfstream 550 in 2013 was $8,640 per hour. It is important to note that the time of booking, type of aircraft and services required during the flight all affect the total cost. How much can I expect to make from chartering out my business jet? It is unrealistic to expect that you can turn a profit from chartering your business jet in light of the current charter market, but some aviation professionals believe you can recoup up to 80 per cent of your operational costs through charter income. If you you are hoping to break even, you really need to make your aircraft available to third parties for at least 500-600 hours per year, before this become a possibility. Aircraft finance has been scarce since the economic downturn but there are still willing lenders out there. If you are an entrepreneur or company owner, it is worth speaking to your private banker or considering a fractional ownership programme through companies like NetJets or Flight Options. Even if you can afford to buy a business jet outright, most owners find that it makes more sense to finance the asset. Many of the most active business jet finance teams are part of private banks. Specialist finance companies like Guggenheim, GE Capital and CIT are also happy to work with high-net-individuals. If you are looking to buy an aircraft for charter, you will find it tougher to finance, as it can be hard convincing mainstream lenders that your business will turn a profit. Local banks are often the best option, but you may also wish to consider private equity, hedge funds, private banks or generous ultra-high-net-worth individuals. 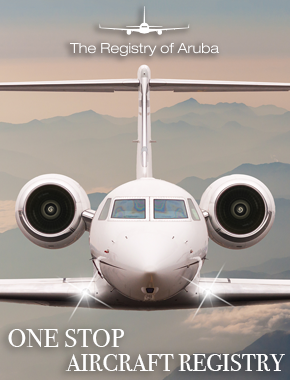 People use business aviation to benefit from efficiency, privacy, luxury and in some cases, the status that it brings. There is no waiting time, no security lines, and no need for navigating through busy terminals. Private jets are also able to utilise approximately ten times as many airports as commercial jets. Business jets are frequently used by private companies, high-net-worth individuals, heads-of-state and sports teams to get from one place to another as quickly as possible. They are also popular with celebrities like John Travolta, Jackie Chan, Oprah Winfrey and Rihanna. Large multinational corporations like Berkshire Hathaway and Nike both own and operate business jets, but a 2009 report for the National Business Aviation Assocation (NBAA) showed that 69 per cent of companies with business aircraft actually employ less than 500 people. Many sporting events such as Formula One Grands Prix, golf majors, the Olympics and particularly, the Superbowl (over 600 private aircraft flew into New Orleans for Super Bowl XLVIII) attract a high frequency of private jets to local airports, which suggests that business aviation attracts a high percentage of leisure flights. There are also some more novel uses for business aviation and NetJets claim that they typically fly around 14,000 pets on over 9,600 flights over the course of a year. One corporate flight attendant even told Corporate Jet Investor that she once attending to a flight where the only passenger was a dog. Corporate airliners, which have been converted from aircraft made by Airbus and Boeing for commercial airlines, have been likened to “flying apartments” and give the owner plenty of room to customise the cabin for maximum luxury. Everything from pizza ovens to putting greens have been added to jets, as well as more regular features such as reclining seats, sofas, showers, WiFi internet and dining tables. These types of aircraft only represent a very small segment of business aviation however, and many light jets do not feel much bigger than a car and do not have the space for a toilet let alone a bath. Why should I spend more money to fly on a business jet when even business class on an airlines is much cheaper? Business jets can take you closer to your destination than commercial airlines – saving you significant amounts of time. You can fly to a meeting on the other side of your continent and return the same evening, minimising the time you are out of the office. If your CFO calculates the time value of four executives spending several days out of the office rather than just one – and of course hotel and subsistence costs – then spending several thousand pounds chartering a jet can often be the right investment. You can also hold meetings in the privacy of a private aircraft. Business jets were involved in six fatal accidents in 2012, which resulted in 25 fatalities, and 21 non-fatal accidents. The estimated fatal accident rate for all civil-operated business jets is approximately nine times higher than accidents involving large Western-built jets. Although these figures include owner-operated aircraft. The UK CAA reported that the rate of fatal accidents involving business jets was one per 600 aircraft throughout the 90s. This was improved to one per 900 aircraft throughout the next decade, and it slipped further still in 2011, with the rate of fatal accidents reduced to one in 5,000 aircraft, making it the safest year ever for business jets in the UK. Business aviation represents 0.04 per cent of the world’s total carbon emissions. Ed Bolen, president of the NBAA, confirmed the business aviation industry’s commitment to halving its CO2 emissions by 2050, in comparison to 2005. The business aviation industry has also promised carbon neutral growth by 2020 and an improvement in fuel efficiency of an average of 2 per cent per year. If the industry fails to meet these commitments, business aviation could represent between 5-10 per cent of total transport carbon emissions by 2050. The size of the global business jet fleet is often disputed, but based on data from Ascend, Bombardier and JETNET, the number stood at somewhere between 15,200 and 18,650. Speaking to BBC World in September 2013, Thomas Flohr, founder and chairman of VistaJet, said there were 10,400 business jets based in the US and another 8,000 located throughout the rest of the world. In 2012, there were 672 new aircraft deliveries. Cessna delivered the most, with 181 and Bombardier delivered two less with 179. The third highest business jet manufacturer was Embraer with 99 deliveries. The market peaked in 2008 with 1,154 deliveries, but that number has declined every year since. Corporate Jet Investor forecasts that 2013 will continue this downward trend, with the deliveries totaling to approximately 653 at the end of the year and Bombardier overtaking Cessna as the busiest manufacturer. The major manufacturers of business jets are: Cessna, Bombardier, Hawker Beechcraft, Airbus Corporate Jets, Boeing Business Jets, Dassault Falcon, Embraer and Gulfstream. Honda and Pilatus are both working on new jets. The major manufacturers of business helicopters are: Eurocopter, AgustaWestland, Bell Helicopter, Sikorsky and MD Helicopters. One major advantage of business aviation is the extra accessibility. It is estimated that business jets landing in Europe have the use of ten times more airports than are available to commercial airliners. In the US, the five busiest business aviation airports are: Van Nuys (CA), Daytona Beach International (FL), Centennial (CO), Phoenix DeerValley (AZ) and Fort Lauderdale Executive (FL). Teterboro Airport is the closest to New York and is the 12th busiest in the US. London offers more choice than most cities with over 10 airports that can handle business aircraft in the surrounding area, including London Biggin Hill and Farnborough which are solely dedicated to business aviation. The NBAA holds an annual business aviation conference in varying locations in US, which regularly attracts more than 25,000 people and over 1,000 exhibitors. The European Business Aviation Convention & Exhibition, known in the industry as EBACE, takes place in Geneva every May and ABACE serves the Asian business aviation market, while there is LABACE for South America. Helicopter Association International holds its expo in the US every spring. Corporate Jet Investor also holds conferences and workshops every year in locations such as London, Miami, Singapore and Dubai, which focus on business jet and helicopter finance and transactions.